Android, apart from being one of the most popular mobile operating systems around, is also an open source phenomenon in the making. The freedom that this Google-made marvel provides has opened up a thousand possibilities for developers and hackers to tinker around with the code. This, in turn has created a whole new world of ROMs and MODs that give users the features they miss on the default Android OS. An essential rite of passage into this enticing-yet-wild world requires the users to "root" their device. So, what is this root thing after all? Is it dangerous? Is rooting your Android device worth it? Read on as we try to answer all your doubts in this article. If you’re a Linux user, you must have seen commands where we prefix ‘su’ or ‘sudo’. 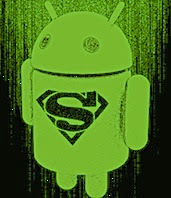 This means that we are entering those particular commands as a superuser or root. The concept of root user is somewhat similar to Administrator on Windows. A root user has all the privileges and can ask the system to do anything, even self-destruct, so to speak. Also, since your Ubuntu desktop and your Droid are based on the same Linux kernel, most of basic UNIX commands work everywhere. By gaining root access to your Android phone, you get to tweak your device any way you want to. You can change the CPU speed, delete apps, block ads everywhere, and do many more things which a non-rooted or “normal user” wouldn’t be able to do. For Apple users who still fail to grasp the concept can think of it as jailbreaking. Yes and No. Many service providers don’t allow users to root their phones. That means, if you root your phone your warranty will be voided. However, rooting being a reversible process, you can bring the phone back to its original state before giving it to the provider for repairs. CyanogenMod is a custom firmware based on the open source Android operating system. Once installed, it will equip your Droid with features that are not found in the official firmware distributed by devices. CyanogenMod offers features like native theming, FLAC support, OpenVPN client, reboot menu, built-in Wi-Fi, USB, and Bluetooth tethering, CPU overclocking, soft buttons and much much more. Even though it is considered as a hacker-only tool by many, it has been installed on more than 750,000 devices so far. Trekkies who love Will Wheaton might also want to know that he too is a big fan of Cyanogen and uses it regularly on his Android device. Being root is awesome. Whether you’re a UNIX pro (P.S. : Chuck Norris) or a mere BASH enthusiast, you can try out all your favorite commands by installing a couple of terminal emulators. BusyBox, often known as the Swiss Army Knife of Embedded Linux can also be installed once your phone is rooted. Not happy with the performance of your Droid? Push it to the limit by overclocking it to its max power. Once you root the phone, you’ll be able to install apps that let you overclock your Android device. Secure Shell or SSH is a network protocol for securing data communication. Once you know how to use it, you’ll be able to control your PC or other SSH-enabled device right from your Android device. A rooted phone offers you more control over your apps. You can delete them, back them up or uninstall them all on a whim. Moreover, you’ll be able to take extensive backups using apps like Titanium backup which we covered in an earlier post. Tethering is where you share your phone’s Internet connection with other devices. Many carriers don’t allow that, hence by rooting, you’ll easily be able to surpass that limitation. The ability to take screenshots has been missing on several Android devices. Though the feature has been added in Ice Cream Sandwich, it will take a long while till the update reaches all the major phones. Till then, root your phone and start snapping away! Why shouldn't I root my phone? As mentioned before some service providers are a bit stringent about their devices. If you're too paranoid about voiding your warranty, we recommend that you rather not root your device. Rooting is a simple one-step process. However, if you don't know what you're doing you might end up bricking your phone. If you can't figure out how to turn on your computer, then sorry, rooting isn't for you. If your business or work revolves around your cellphone, then we'd strongly recommend NOT rooting the phone. Although the process is smooth and easy, there are some cases wherein users might end up losing all their data. If you want to learn how to root your phone, you can always refer to Lifehacker's always up-to-date guide on rooting an Android.